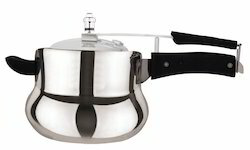 We are a leading Manufacturer of regular (aluminium pressure cooker), handi (aluminium pressure cooker), belino (aluminium pressure cooker), regular( hard anodized pressure cooker), handy (hard anodized pressure cooker) and belino (hard anodized pressure cooker) from Bengaluru, India. Catering to the diverse demands of our clients, our organization is offering a quality range of Regular (Aluminium Pressure Cooker). Ideal for use with both induction and non-induction base; the given product is available with us in different capacities. It is fabricated using superior grade material to ensure its high durability and perfect finish. 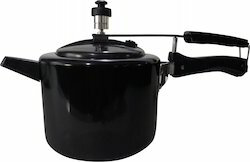 Being a reputed name in this domain, we are dedicated to offering a range of Handi (Aluminium Pressure Cooker). Made in compliance with the industrial and safety norms; the given product is known for its sturdy design, excellent finish, and high capacity. Moreover, clients can avail this at reasonable rates. 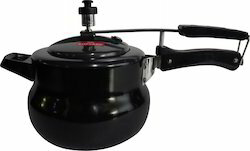 Keeping in mind the requirements of clients, we are offering an exclusive range of Belino (Aluminium Pressure Cooker). Available with us in both induction and non-induction base; the provided product is known for its less maintenance, non-corrosive body, and robust design. It is safe to use and can be availed in different storage capacities. Sizes: 3 Litre/ 5 Litre. Available in both induction and non induction base. Enriched with vast industrial experience, we have been able to offer a wide range of Regular( Hard Anodized Pressure Cooker). The product is easy to use and is provided with firm grip handles and smooth moving leads. It can be availed in different capacities and induction bases. Besides, we offer it at industry leading price. *Sizes: 3 Litre/ 5 Litre. *Available in both induction and non induction base. 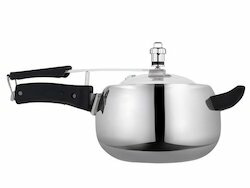 Looking for “Inner Lid Pressure Cooker”?